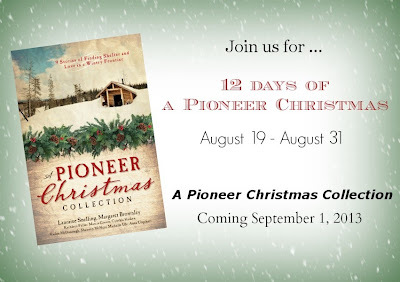 Shenandoah's Eclectic Scribblings: The 12 days of Pioneer Christmas is here! The 12 days of Pioneer Christmas is here! Shannon McNear portrays a surprising romance between an escaped Tory prisoner, and a young woman patriot in charge of her siblings when her father goes to fight in Defending Truth. "People were all just struggling to live their lives, and the politics were as upsetting and confusing as today." we know—or do we? When a vigorous young woman goes in search of her long-lost express-riding brother, she saves a man from outlaws and drives him to help her search. Set during the Civil War era, A Pony Express Christmas leads us eventually to Chimney Rock and resolution. Please come back to my blog, and visit my co-authors, for more story tidbits, author interviews, and giveaways! Congrats again on being included in the Pioneer Christmas collection! I can't wait to read the stories. This looks like such a great collection! I can't wait to read your story, Shannon. You know I already love the sound of it! Thanks so much, Carla. I hope you like it! I am looking forward to reading this book, thank you for the chance to win a copy.